​​Jennifer is a Master Florist having qualified to this level after 6 years of training and working at a variety of flower shops. Jennifer initially trained in Business & Finance and comes from a middle management position for multi-national companies. Yours Truly Flowers was launched in 2011 and has continued to grow every year. Being workshop based means Jennifer and her small and friendly team can concentrate solely on individual events. Jennifer has a wealth of experience; is passionate and enthusiastic about floral design. We pride ourselves in using fresh quality flowers and we work to high standards of practice. Yours Truly aims to please every time and the attention to detail along with good customer relations is what Jennifer has built her reputation on. We know we get it right by the feedback we receive and the beaming faces we see on delivery. Recently, Yours Truly has become a supporter of the Knights Foundation where monies raised go toward specialised equipment; respite for mum and dad; and helping kids with disabilities get work placements. It’s part of giving back and making people smile. 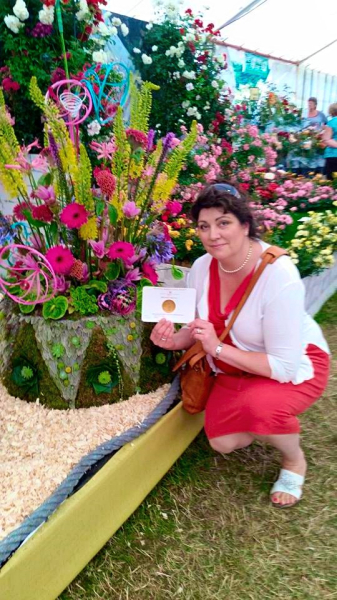 Jennifer also works teaching floristry and flower arranging and as a NAFAS Area Demonstrator.